I tried, I really tried! I just did not get a chance to post yesterday. You know how when it rains, it pours? Well, I have had a SUPER busy week and to top it all off my daughter had the stomach flu yesterday, starting at about 2am. I was so busy taking care of her, that I didn't get on to the computer. But, I'm back today with this fun holiday project. I saw this adorable project on Julie Davison's blog - magnetic a memo board made from a 5x7 piece of metal flashing, available at home improvement stores. The flashing is pre-cut, so you don't need to mess around with cutting metal. I used Sticky Strip to apply to the paper to the flashing, along with my Crop-a-Dile, a Jumbo Eyelet, and Real Red satin ribbon to create the hanger. 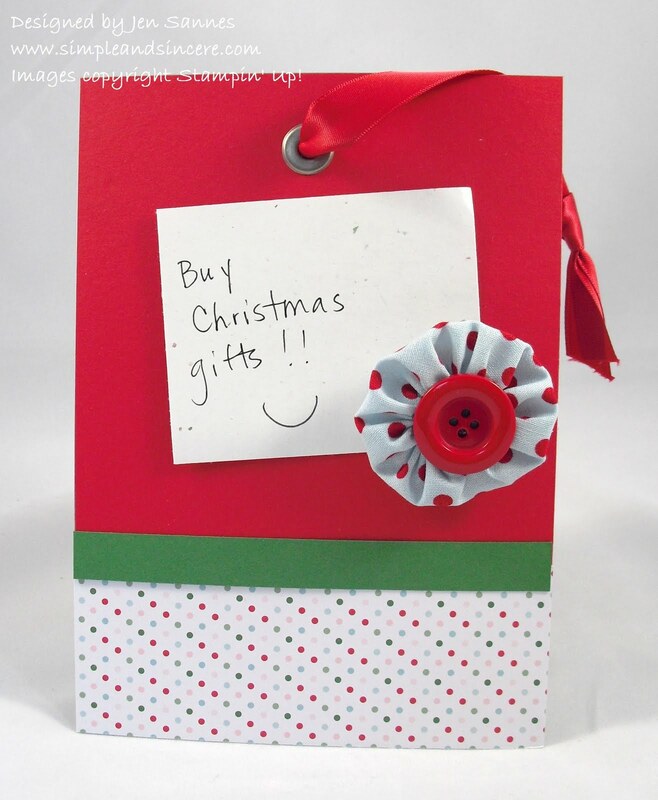 I like the festive look of the Candy Cane Christmas dsp with the coordinating fabric magnet. A fun little gifty to give this holiday! 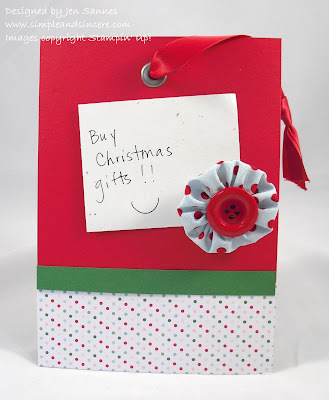 Love the way you tied in the coordinating fabric into the magnet! So cute!